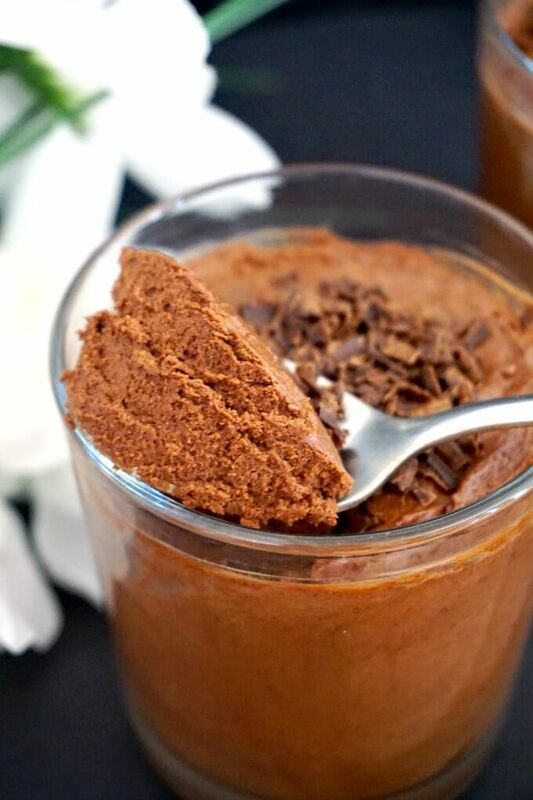 Vegan Chocolate Mousse with aquafaba, a guilt-free dessert that is low in calories, quick and easy to make. So fluffy, light, yet indulgent and chocolatey. No bake, and with only 3 ingredients. You must have heard about aquafaba by now, the miraculous liquid in which beans like chickpeas are cooked, and which we usually dump down the drain without a second thought. I must say, l did not believe that it can actually replace the egg white successfully, but l was so wrong. You get exactly the same meringue-like consistency when you beat it, and it does not have a funny taste at all. So impressive! I wouldn’t have probably given it a try beforen my two pregnancies. 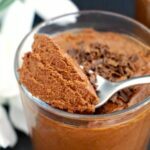 Raw eggs are definitely a big no-no in pregnancy, but who says you can’t enjoy an amazing chocolate mousse? Now you can. Also ideal for vegans and people with egg allergy or dairy intolerance. A can of chickpeas is so cheap, but it’s amazing how much you can make with it. 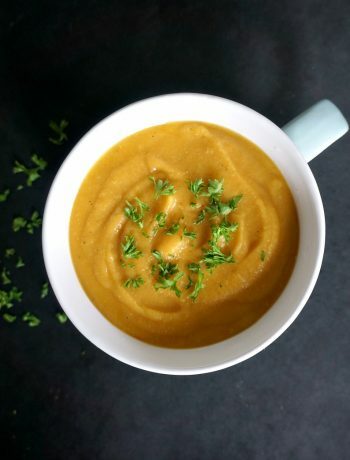 Use the liquid for aquafaba, and the chickpeas for anything you fancy. 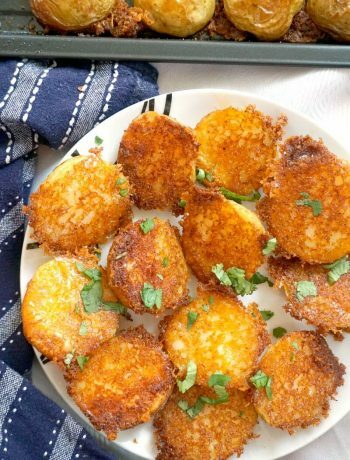 I dare suggest these delicious chickpea patties, they are a great appetizer for any occasion. My favourite healthy snack is the fabulous Spicy and Crunchy Roasted Chickpeas, and that’s another great way of using the chickepeas left. One thing l should warn you about, if like me you don’t own a kitchen aid, and have to rely on a good old hand mixer, it does take a lot longer to get the stiff peaks when you beat the liquid. But getting the stiff peaks is absolutely crucial in order to get the right consistency, otherwise the mixture won’t set. So, no rushing, and no shortcuts!!! It also depends on the quality of the canned chickpeas, some cheap brands don’t have the best aquafaba, so it might take longer. 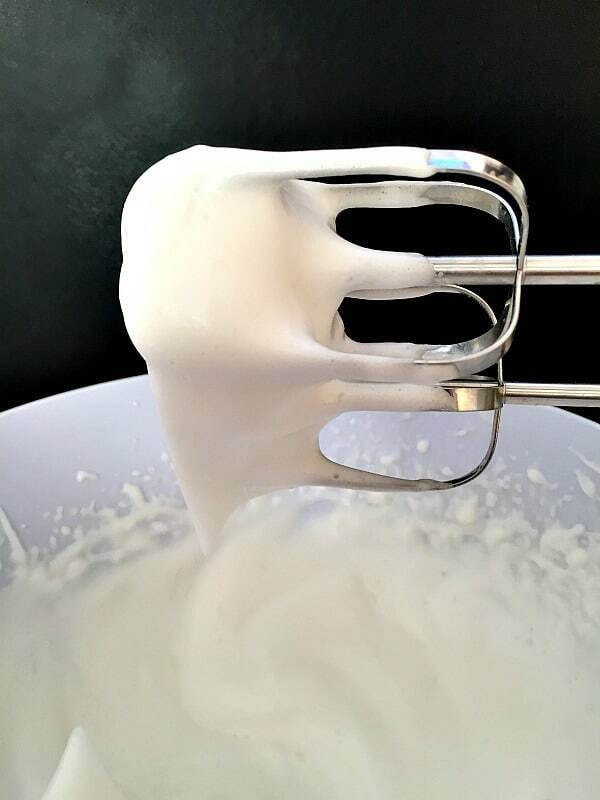 Once you get soft peaks, add the sugar, and continue to beat until you get stiff peaks, and a meringue-like consistency. The best way to melt chocolate is to break the chocolate bar into pieces, and place it in a bowl over boiling water. In this way, the chocolate melt gradually, while the temperature does not increase drastically. I don’t like melting chocolate in the microwave, the texture is not as silky, plus, if you leave it for a few seconds too long, you risk burning it. 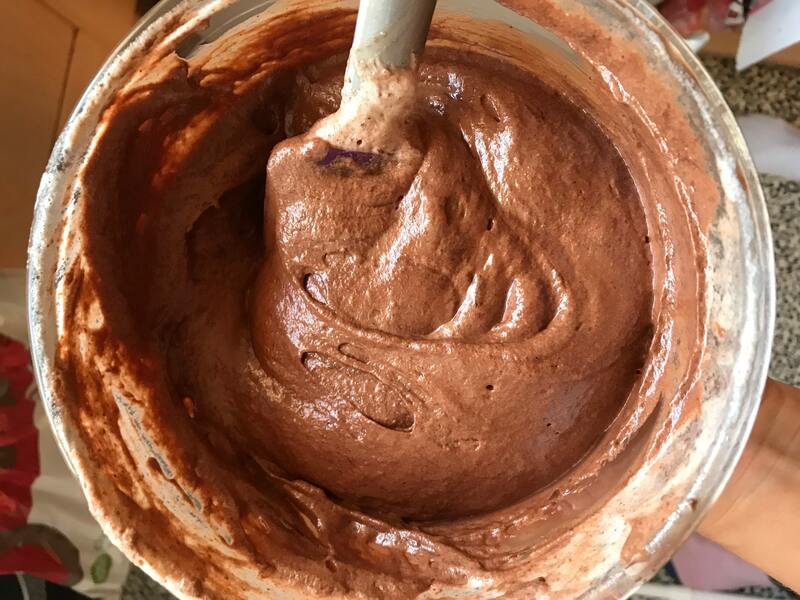 Leave the melted chocolate to cool down before you gradually fold in the beaten aquafaba, then transfer it straight away into the recipients you want. The chocolate mousse will harden quickly. Keep refrigerated until you serve it. You can add more sugar if you like it sweeter, or, for a vegetarian version, you can use milk chocolate rather than dark chocolate. 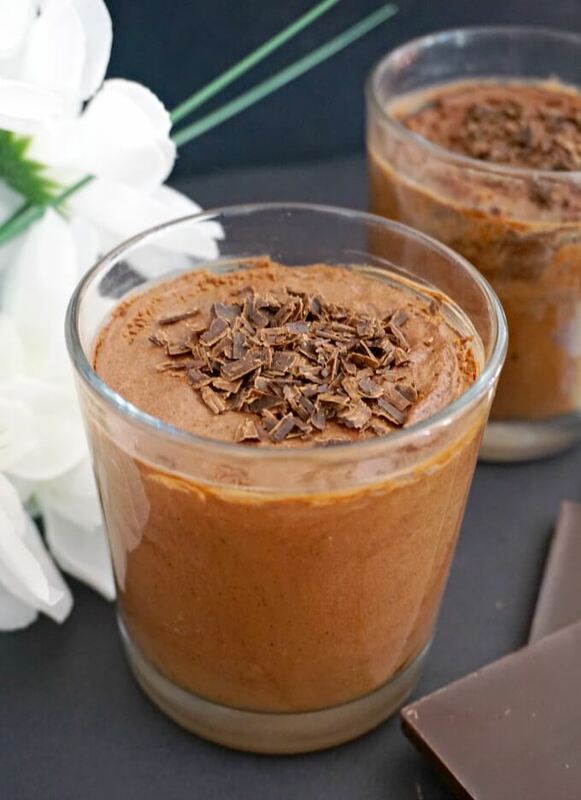 And how about some chocolate mousse with avocado? Equally delicious, just a bit different. If you’ve liked my VEGAN CHOCOLATE MOUSSE WITH AQUAFABA or any other recipe on the blog then don’t forget to rate the recipe and let me know how you got on in the comments below, I love hearing from you! You can also FOLLOW ME on FACEBOOK, and PINTEREST to see more delicious food and what I’m getting up to. Break the chocolate into smaller pieces and place them in a heat-proof bowl. Sit the bowl over a pan of simmering water and allow to melt completely. Measure 125 ml (4.23 floz) of chickpea liquid and pour into a large bowl. Beat with a mixer until you get soft peaks. 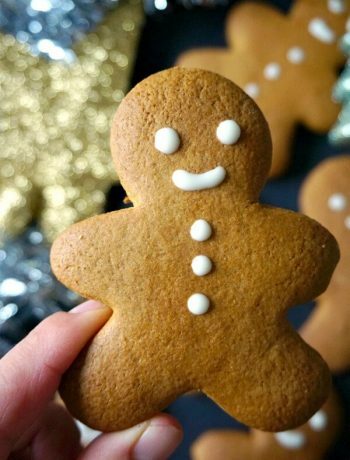 Gradually add the caster sugar and continue to beat until you get stiff peaks, depending on the speed of your mixer, it may take 10 to 15 minutes. Use a silicone spatula to gently fold it in the melted chocolate and mix just enough to get a smooth and fluffy consistency. Transfer to cups or a bowl of your choice and refrigerate for at least 1 hour until set. Amazing! I made aquafaba, but had no idea what to do with it after that. Nice job!